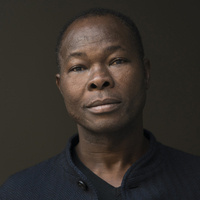 Francis Kéré argues for a new approach in architecture that combines traditional ressources and modern building techniques through innovative construction strategies. The use of local, natural materials, and the integration of the community in the building process drives the architectural concepts for projects spread across the African, European and American continents. Francis Kéré is a German-trained architect from the small West African town of Gando in Burkina Faso. As the first son of the head of his village, his father allowed him to attend school. He was awarded a scholarship to apprentice in Germany, where he went on to earn a university degree in architecture and engineering. Parallel to his studies, he founded the Kéré Foundation to fund the construction of the Gando Primary School which earned the prestigious Aga Khan Award in 2001. Kéré continues to reinvest knowledge back into Burkina Faso and sites across four different continents. He has developed innovative construction strategies that combine traditional materials and building techniques with modern engineering methods. Since founding Kéré Architecture in 2005, his work has earned numerous prestigious awards such as the Global Award for Sustainable Architecture, BSI Swiss Architectural Award, Marcus Prize, Global Holcim Gold Award, and Schelling Architecture Award. Kéré was granted the honor of chartered membership of the Royal Institute of British Architects (RIBA) in 2009, and honorary fellowship of the American Institute of Architects (FAIA) in 2012. He has held professorships at the Harvard Graduate School of Design and the Swiss Accademia di Architettura di Mendrisio.